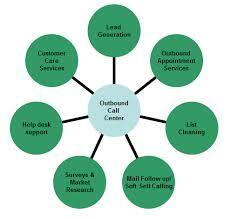 An outbound call centers are call center brokers make outbound telephone calls to customers for a business or client. Outsourcing call centre services is a cost effective way of improving customer service and boosting sales. That is the reason many companies, regardless of their size, make full use of them to serve customer service. To work in boosting sales and generate a strong brand identification, outbound call centers ought to be a full-fledged body that accomplishes the actual major task connected with contacting existing along with potential customers in the interest of developing relationships together.